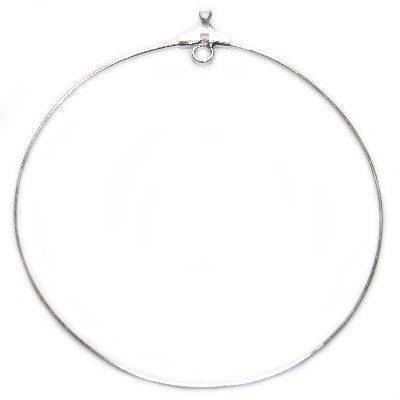 A large silver-plated pendant in the shape of a circle. The wire of one side of pendant can be opened to impose onto it beads. Under the clasp is closed ring to attach various ornaments.